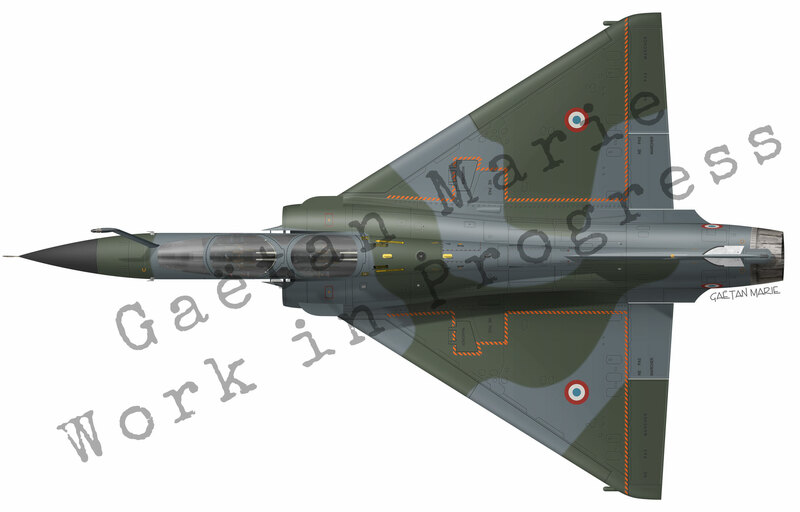 The Mirage 2000 top view is coming along slowly – and the aircraft mutated from 2000D to 2000N in the process. This view is roughly half the size of the original file. Detailing the cockpit is always one of the most difficult parts, so I’m glad that is over !